- Scholl Velvet Smooth Pedi is an electronic foot file with synthetic diamond crystals, the roller head rotates at high speed to gently buff out rough, hard and flakey skin on your feet. -Turn the silver ring of the pedi to activate the roller head, slide the head over the dry/hard skin on your feet for gentle exfoliation. If you press too hard, the roller will stop. -Rotate around the required area of your feet, do not remain in the same area for more than 3-4 seconds. I've seen the pedi been advertised on TV for months, every time it comes up, I tell whoever is next to me that I need it. Nothing has worked for my dry and cracked heels it gets worse during dry, cool, winter seasons. I also have a bad habit of walking around bare footed and rarely wearing socks - until now. I've been too embarrassed to take my socks during group Yoga because of my heels, so I've stopped going altogether. Amazing that something as little as cracked heels can put a dent in your self esteem. I've been battling my scaly heels for the past 6 months and tried buffing my heels with sand paper, filer, applied vaseline, body butter, all sorts of lotion/cream for extra dry skin. Nothing has worked to date. These two products are a game changer for me, the pedi buffs out my heel in no timer. I'd apply Eulactol Heel Balm two times per day for maximum effect, the balm has a vaseline-like consistency (but works much more effective). 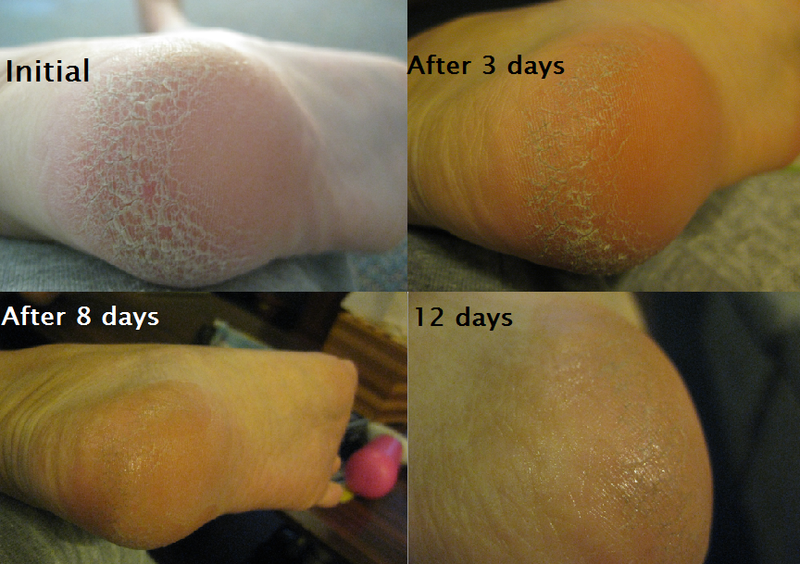 By the third day, my heels were quite soft with colonies of dry flakey skin observed, after 8 days I feel like I have human feet again, on the 12th day the skin on my heels seemed to have almost achieved full restoration. Ready for the before and after? Sorry guys, I know it's gross.. but look at the results!! it's amazing! We are sprinting towards the middle of the year, I've been a slow coach in polishing off my products as usual. Innoxa Lush Lash - This was a great everyday mascara, my lashes looked natural, some lengthening and curl observed. I noticed small amounts of smudges if I apply the formula to my lower lashes, but it's no where as bad as Rimmel's non-waterproof mascaras. Apparently this mascara will assist in lash growth and lengthening over time, unfortunately I didn't notice any growth.. or maybe I did and it was just really difficult to tell.. I enjoyed this product overall. Clear Scalp and Care Shampoo - Nice shampoo, no signs of dandruff after wash, my hair remained shiny for up to 3 days. Gaia Foaming Cleanser - I really can't review this product, there was only enough for about 2 uses, all I can say is that it cleaned my face and I didn't experience any irritations. FOA VS WOTNOT wipes - To be honest, I really can't tell the difference a part from the scent. Both were able to remove my base make up and most of my non-waterproof mascaras, lipsticks etc. Both had significant issues in removing waterproof mascaras.... my lashes fall out while using both.. Pore care pack - Got this pack from Daiso, back when everything was $2.8. My boyfriend and I slapped one on each, it did absolutely nothing for me, a bit of skin came off ... that's when I realised I didn't have blackheads. My boyfriend's sheet on the other hand... he pulled out all sorts of creatures from his pores. THIS WORKS. Fuss Free Facials VS Lonvitalite Masks - The sheet for Fuss Free is rice paper thin, application was easy my covered all parts of my face. Whereas, I feel that Lonvitatlite provided a bit more hydration as the sheets were thicker...however, it's hard to pat down all corners of the sheet mask. My face felt dramatically better the next day using both, skin plump and hydrated...hard to decide, I love all sheet masks. Harmoni's Kiss Lip balm - I got this from an Organic expo, it applied nice and smooth with all organic ingredients. I noticed a distinctive stale scent from the product and knew that it's time for the bin. Australis Paparazzi Perfect Tinted Moisturiser- This was brilliant when I first got it, provided medium coverage and hid away most of my blemishes/pores. The product recently started to split and my face looked blotchy after application. Bin time. BYS Blush and Bronzer - This was more of an illuminating bronzer than a blusher, my cheeks would glow like a disco ball all the time (I like matte cheeks - with the exception of parties and events - so it probably wasn't the right product for me). This was the only BYS product that was up to quality standards, I was thoroughly disappointed with their blush and eyeliners. It's been a long wait for LHI's March pack. I received my pack today, 14 May 2015. This pack arrived in one of those large makeshift gift boxes, the ones you usally put scarves in (well I usually do anyway). I'm running low on facial sheet masks and I've always enjoyed Lonvitalite masks.. so no complaints here. I've had rather unpleasant encounters with ModelCo products, I've tried their base products before and it didn't feel too nice on my skin, it was like an airless capsule covering my skin unable to breath. But I'm always willing to give new products a go. I've heard a lot about Apelles' products, so stoked to see deluxe samples in this month's box! I recently cut my hair rather short and started enjoying the process of hair wash again, looking forward to putting these to the test! Body Cleanser! haha, I'm so use to seeing body scrub, body wash... etc.. when I saw cleanser I instantly went to my face. I'm keen to see how this differs to my usual body wash. Cream and cleansing water, I use both. Happy to try this out too. Overall, this wasn't a bad box, however it did not wow me either. Although, I'm really happy to see Appelle in this box as it's a brand I wanted to try for quite some time. To be honest, I'm not too fussed about the delay, I spend most of my time at work and as soon as I get home all I want to do is put my feet on the coffee table...relax with a cuppa. Most of the time I don't even notice that my box is delayed. I've been a loyal subbie for about 2 years and really enjoyed seeing a little package at my door each month. LHI has introduced me to numerous brands such as Eye of Horus, Inika, The Cosmetic Kitchen and Urban Skincare Co that I would not have came across otherwise. However, my latest annual subscription is wrapping up and this is my last Lust Have It box, I won't be renewing, I haven't been too pleased with the expired products in the last couple of boxes, but my decision not to review is mainly due to the fact that I have too many products piling up﻿ waiting to be used. What did you think about this pack LHI box? Was it worth the 2 month wait for you? I "celebrated" Mother's Day when I was in Grade 3, I recently re-commenced this celebration in the past 3 years. My mum has never been the one for material gifts (except on her birthday, where she expects to be spoiled rotten), I progressed from buying her $2 jars at school fairs to random $40 orchids. It's been extremely difficult in the last 2 years as I started my full time job, Mother's Day would some how slip my mind.. or I'd simply run out of time to buy her that specific gift. It's o.k if you forget, and it's definitely o.k if you haven't got a present. As the biggest and most lovely present is for you to spend some time with her and provide her with undivided attention. It's time to bring back the nostalgia. Sadly, board games are not much of a "thing" in many households. I remember when my mum would spend days playing my favourite board games with me, that's hardly the way these days. She's either watching TV or playing on her tablet while I'm either on the computer or on the phone to my boyfriend. 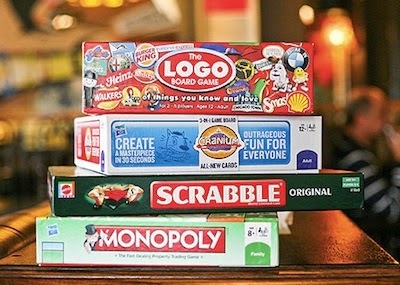 I know my mother-daughter time is way over-due, why not have a night in, whip out your mum's favourite board games, find some awesome pizza deal and pig out. The last time I went pampering at a massage parlour to get a Thai back massage, I was in so much pain I couldn't get up the next day. 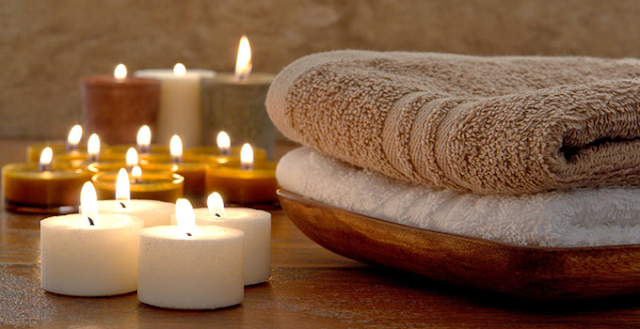 Good massage parlours are difficult to find and good massage parlours are pricey. Maybe it's time for an at-home pampering session, get out those towels, candles, clay masks, nail polishes and cuticle creams﻿. Make sure to put on her favourite tunes. I made a scrapbook for my grandma to document her trip overseas, the power of scrap booking is overwhelming, the joy and sheer emotion my grandmother had on her face while flipping through the book was priceless. Why not arrange some photos in chronological order and create a timeless piece with your mum. Alternatively, if your mum is a modern minimalist and you don't exactly have the motor skills to cut out odd shapes (which is me most of the time) then Photo Booking would be the perfect choice and Vistaprint will have you covered. 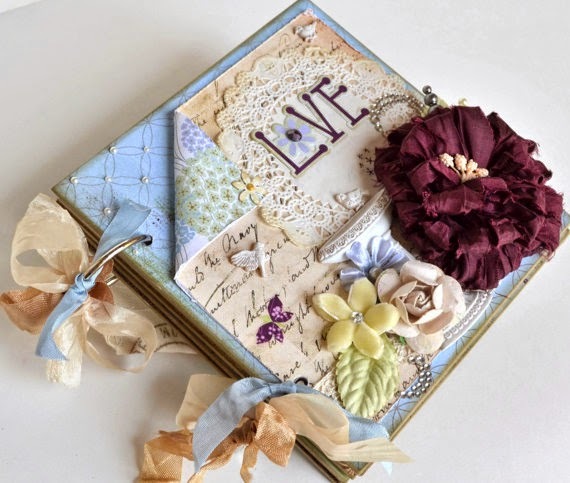 Digitally create your photobook online, select your size, choose your own photos, book cover and paper finish without touching a piece of paper or have glue fingers. This is for all my health conscious mums and daughters out there. I recently started organic baking and my mum absolutely loved it. Instead of being concerned about the amount of butter and chocolate in the brownies, we can actually enjoy a descent serve (and a few slices more) if you bake with super foods and "good" fats. 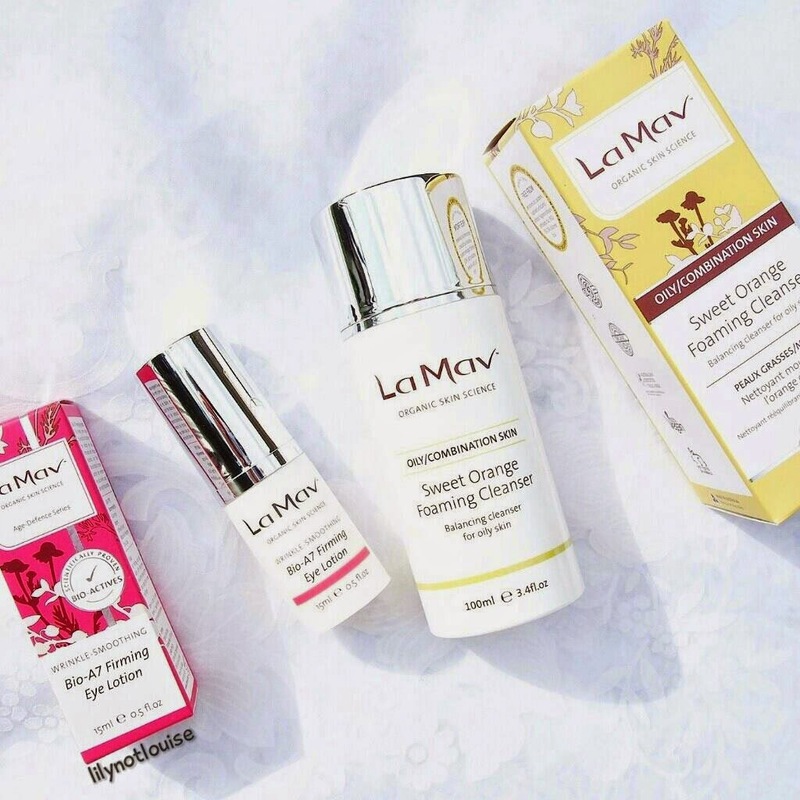 La Mav is Australia's first and largest organic skincare brand, proudly Australian owned and made. As you may all be aware by now, as much as I love my high end products to bits, I am a big advocate for local brands and organic products. Nothing beats a sustainable environment/environment and a collaborative community. La Mav works towards a carbon neutral environment, their packaging is eco-friendly and recyclable. It makes sense that we should reach for the natural/organic products, the epidermis is our body's largest organ... why sacrifice health for beauty by allowing our body to absorb toxins and parabens? A lot of the time, I use non-organic products as organic goodies greatly surpass my budget range, La Mav on the other hand, is fairly affordable. - Purifying cleansing gel with active ingredients such as fermented paypaya extract, Orange Extract and Sugar Cane Extra to remove sebum and other impurities. - I absolutely adored the sweet subtle citrus scent, it's super re-freshing and calming. Perfect after a stressful working day. - Product content was easy dispensed from the pump. - I use a cleansing brush to clean my face, it works a gem and foams up well with my brush. Otherwise I can easily foam it up with my hands. - After cleansing, my face is left quite clean and feeling freshed. I don't need to run my face over with micellar water to rid excess makeup. - I have sensitive/combination skin (oily around the T-zone and currently in the midst of a T-zone break out). This cleanser cleansed away all the grotty oil around my t-zone. However, I found that I do need to moisturise immediately to re-hydrate my skin. - Visibly rejuvenates and transforms the eye area. - Formulated with Hibiscus Esculentus and Pisum Sativum Extract to increase elasticity and smoothens lines + wrinkles. - Recommended for all skin types, ideal for puffiness, dry and mature skin, fine lines and dark circles. Bio-Actives:• Hibiscus esculentus extract (a natural alternative to Botox) has Botox® like effect that gently relaxes skin to smooth expression lines and helps reduce the appearance of wrinkles. • Chlorella Vulgaris Extract, Vitamin C, Aschophyllum Nodosum Extract & Licorice Root extract works synergistically to help reduce the appearance of under eye dark circles. - I have learnt that there is no such thing as a miracle eye cream that will eliminate all lines and puffiness. I found this eye cream to be nice and creamy that's also super easy to apply. Like it's product claim, it's velvet smooth! - I dab the cream under my eyes and smooth it out, the product is then immediately absorbed into my skin. - So far, no irritations, no signs of millia. - The product possessed no particular scent, which I like! - I keep my under eyes well hydrated to prevent any onset of fine lines, it's difficult determine the effectiveness of the product after using it for a couple of weeks. Having said that, there has been no appearance of new lines.. thus, I think it's fair to conclude I that this product has been doing a decent job at maintaining under eye hydration. -My eye bags (especially my left eye) can probably fit two young joeys, nothing has worked so far. However, I did notice minor de-puff after a few days of usage. I also like to chuck on a cool eye mask every now and then.